If you’re like us, one your favorite parts about fall is the food. From chili to casseroles, there’s just nothing like digging into a delicious, cozy meal on a chilly fall day. 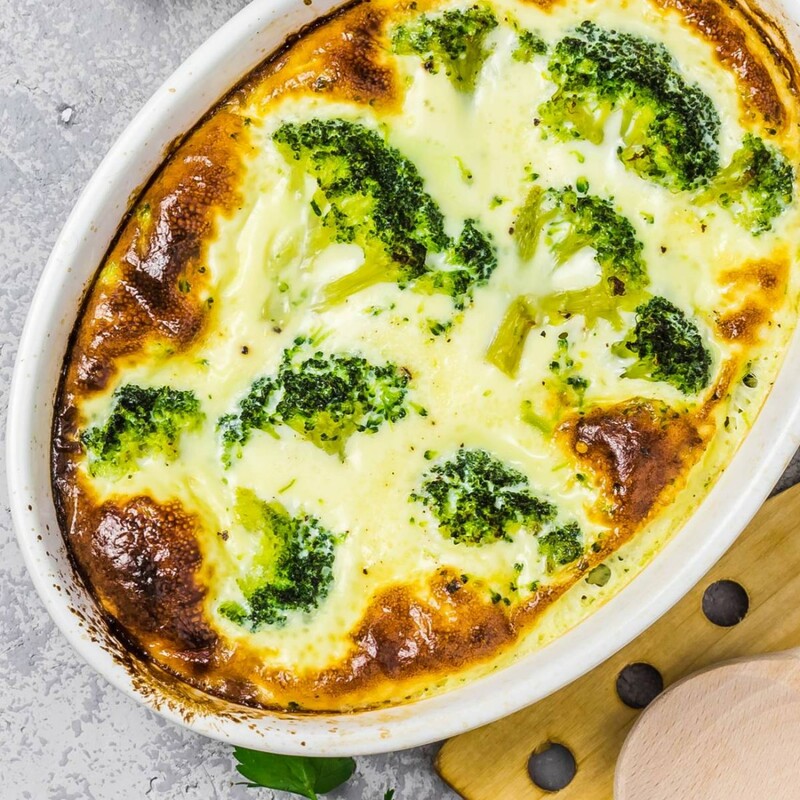 A major benefit of popular fall foods is that they are easy to create using healthy ingredients; so, you’ll be able to enjoy your faves while still maintaining a well-balanced diet. To prove it to you, the Green Valley team has put together a list of six recipes for you to try this season. When it comes to cozy fall meals, nothing trumps a fresh-out-of-the-oven casserole. Super easy and flavorful, you’ll be bound to FALL in love our Green Valley custom bake made with pasta, chicken and sweet peas. 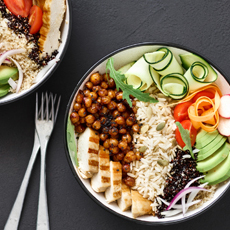 Save some extra time by creating this dish using an already prepared rotisserie chicken. 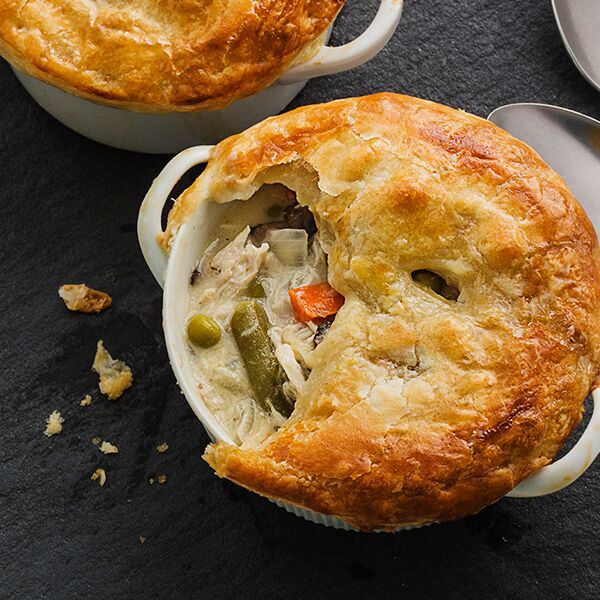 Fall marks the return of the long-awaited chicken pot pie. And with the dish being so tasty, it can be easy to overindulge. Rather than wasting time calculating serving sizes, simply make our mini pot pies that are already portioned into the perfect serving size. Hot and steamy, stew is a cool-weather staple. Don’t miss out on trying this sweet and smoky variation made with black beans, chicken and sweet potatoes. 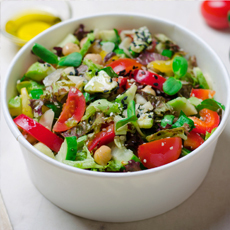 Prepped and cooked in 30 total minutes, getting a healthy meal on the table doesn’t get any simpler than this. 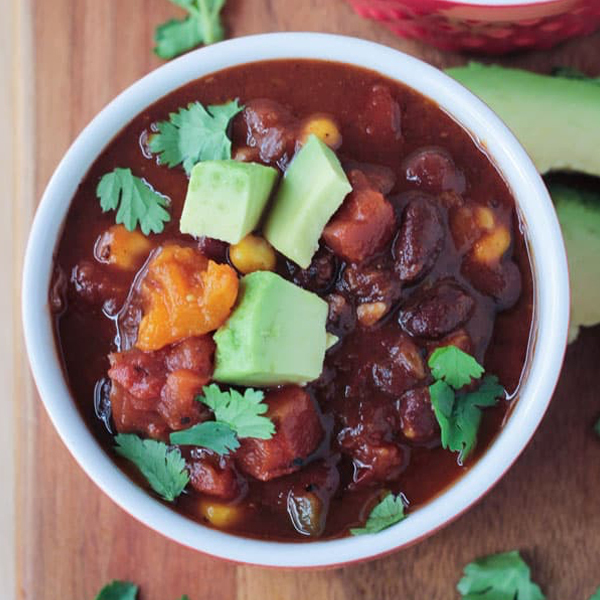 If you’re looking for an easy crowd-pleaser for your next fall get-together, this butternut and black bean chili is the ideal choice. 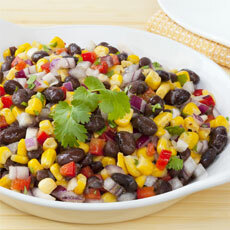 All you’ll need to do is place your ingredients in a slow cooker and let it do the work for you. While you may be sad to see summer go, the return of soup is always something to look forward to. For a nourishing and delicious recipe, try this veggie minestrone made with beans, quinoa and kale. Packed with healthy fiber and vitamins, this soup makes for a great lunch or dinner. If you love pumpkin spiced lattes, but prefer to skip the sugar, this homemade recipe is for you! 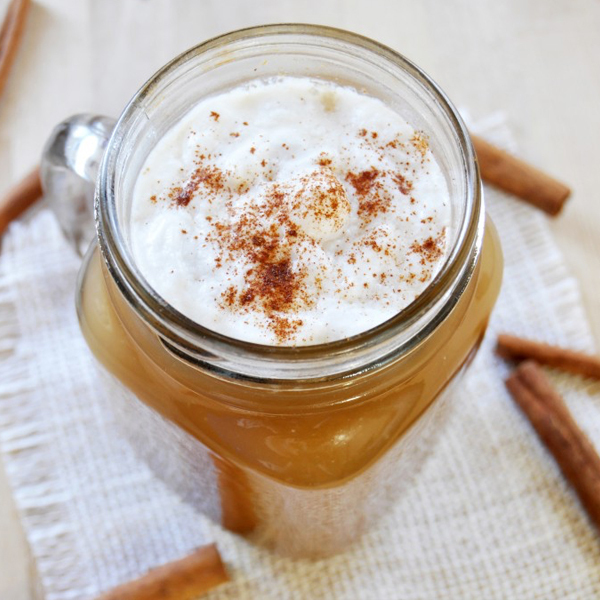 Naturally sweetened with pumpkin puree and maple syrup, this recipe is much healthier than the store-bought alternative, so you’ll have no issue fitting this drink into your healthy diet. We’d love to hear which recipe you loved the most! Share your photos with us on our Facebook or Instagram for your chance to be featured on our page.